Over 5 years ago we set out to leverage technology to effect social change. Below are a few milestones we have achieved. 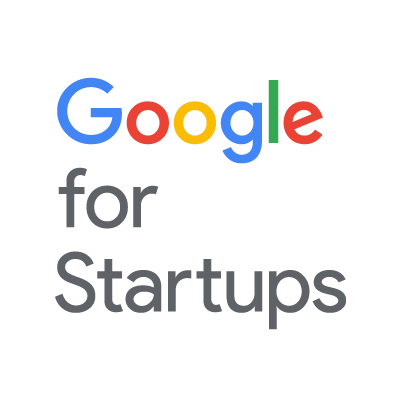 In partnership with Google for Entrepreneurs, CcHUB launched PitchDrive, a three-week five-city European tech hub tour across London, Amsterdam, Berlin, Zurich and Paris with the aim to raise €20M in funding from investors. Along with a consortium of 2 African and 5 European partners, in our quest to improve learning outcomes in STEM across Africa, we secured part-funding from the European Commission totalling 1.5 Million Euros (under the Horizon 2020 Research and Innovation Funding Scheme). By adapting the successful Go-Lab Ecosystem, GO-GA will improve students’ participation & outcomes in STEM; deploying engaging digital STEM content as well as the capacity development of teachers in modern, effective teaching methods. GO-GA will pilot in Nigeria, Kenya, and the Republic of Benin, with built-in plans to scale across Africa in 3 years. In partnership with Facebook, we launched NG_HUB in May 2018. The hub is a deep-tech focused innovation lab for entrepreneurs, students, researchers, technologists and other stakeholders building solutions with advanced technologies. Located in Yaba, it is home to startups in the FbStart Accelerator who are building solutions that leverage Artificial Intelligence, Data Science, Internet of Things and Virtual Reality. Through our Incubation unit, we have supported over 95 early stage ventures providing solutions to social problems with technology. Some of these ventures have in turn created over 450 jobs. The i-HQ project is helping to build an ‘innovation city’ – a hotspot for creative ventures where all key stakeholders (academics, industry and government) find adequate infrastructure, resources and enabling environment to strive while collaborating. From a vision, a virtual tour was launched to communicate the vision and engage the larger tech community and key stakeholders. In 2013, CcHUB constituted a consortium of core implementation partners which includes MainOne, Technovision and the Lagos State government.The i-HQ project is home to over 30 technology companies in Yaba. On the 23rd of June, 2017, stakeholders of the Yaba technology ecosystem came together to discuss the current state of the ecosystem and share their ideas on actions required to build the ecosystem into a successful one. At the town hall meeting, it was agreed that if we succeed in building a functional ecosystem in Yaba, it can serve as a template for building other technology clusters across the country and maybe someday, Africa. The seven pillars decided upon include: Culture, Infrastructure, Policy, Talent, Research & Development, Funding and Smart City. Through CcHUB’s Education Practice (re:learn), we have delivered world-class STEM education to thousands of students by providing support for the smart application of technology in schools across Nigeria. Our in-school and out-of-school programmes have served to provide students aged 5-18 year with skills and resources relevant to the 21st century. Over the past 5 years, we have worked with Google, the MacArthur Foundation, Oracle, the Raspberry Pi Foundation, the Ministry of Education amongst others, to deliver quality education at scale.